The Bonesetter’s Daughter by Amy Tan ended up in my book stack because I liked the picture on its cover. Of course, that I had not actually read any of Amy Tan’s work at that point and had heard so much about her encouraged me to pick the book out of the remainders’ bin at Borders (that, at the time of this posting, soon to be extinct dinosaur), but the book stayed in the low priority pile for several years before I bothered to pick it up. Even then, I decided to read it mostly to start “clearing out” things. I think I was secretly hoping that it would be an instant disaster and I would have a ready-made excuse to just toss it. True, reviews for Bonesetter are either generally unflattering or effusive on Amazon. I won’t even waste the time to rehash those. The link is above if you would like to check them out. To me, the book was a “good read” and well worth the $1 I spent on it, but I would have never bought it otherwise, so I can’t say if it was worth it for most people. Looking at all those reviews and articles on the novel well after its publication and reading about the creation of an opera based on the book can feel strange. I do have a habit of coming to a buffet after all the rush and finding myself having to scrape the crumbs and tender leavings still desperately clinging to the sides of the dishes, while trying to tag one of the scurrying waitstaff and request that they refill the troughs. This time, I found enough to satisfy my appetite and leave me craving more. Let me start off with a disclosure: I nearly stopped reading The Bonesetter’s Daughter several times. After a very titillating opener, I felt mired and adrift in the sludge of Ruth’s San Francisco life. As a main character, Ruth, came off as unappealing…too accommodating, too willing to see the world as hostile, and completely unable to see how she was making it that way… too much like myself and all the things I hated in her, I have been trying to change in myself. But that, I began to realize, IS Tan’s magic. She knows many women feel this way and she knows, despite her exotic setting and lyrical prose (Tan does have a pleasing way of presenting things to her readers, not too grandiose, yet suggestive of majesty and beauty) how to allow these women to feel their lives are meaningful and satisfying. She gives her reader’s hope through the epiphanies of her characters…most of which, I suspect, have some basis on her own personal life. And I loved reading about LiuLing and her mother. The use of the first person here gave such an intimacy, the sense of a mother’s letters to her daughter, the private conversation…. Those certainly appealed to my voyeuristic tendencies; they also heartened me on the choice I’d made a few years back to make such a book for my son. 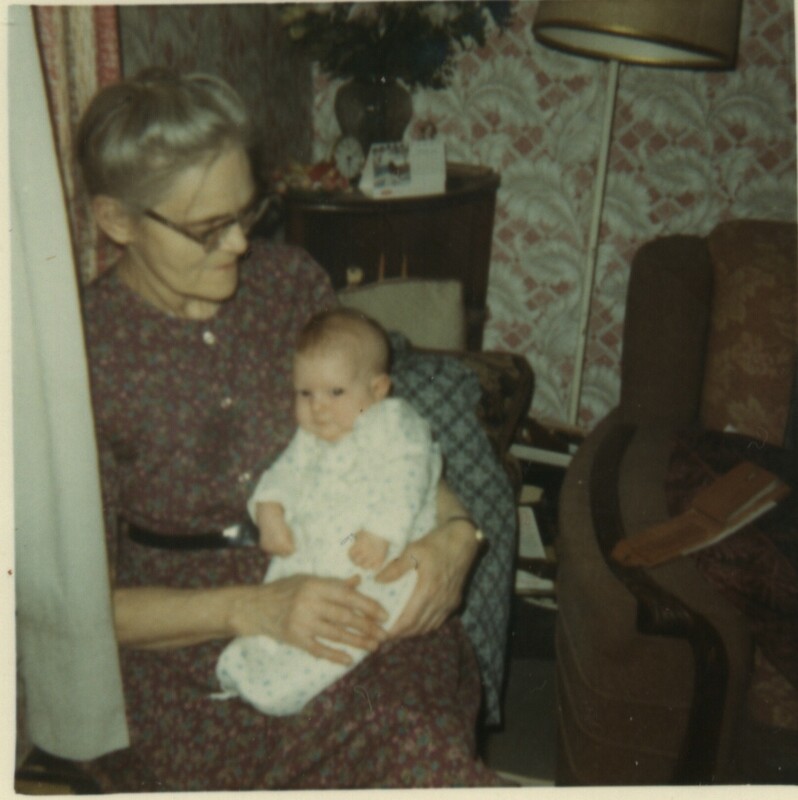 And they made me sad, because there are so many stories of this sort that I wish I had from my own grandmother….things I would have loved to know even though I had been lucky enough to have known her until a little over a year ago. Those characters that most deserve mention in Bonesetter’s Daughter are the ghosts. The mystique of ghosts and spirits of ancestors may fall flat on many Tan readers who see her reuse the same threads over and over. Equally, my husband likely would find the superstition dismissible, a thing of the past or of more primitive human experience–and that is at best. At worst, he could point to how much the characters were controlled by their irrational belief in ghosts and haunts. The effect ghosts had on the other characters made them more compelling characters than any. But what struck me so much was how I connected to them. For years I had felt that my Great-aunt Pearl was “around” (she suffered from a stroke when I was seven and was left mostly in a vegetative state–I hesitate to say she was trapped in her mind, but I believe she was). Usually I feel most connected to her when life seems amazing and I am exploring things new and invigorating, which makes sense given all the stories I heard about her. For years I heard tales of how she had taken her brother’s four children on a drive across the country, how she’d been a school teacher and a worker at GE Electronics… My memories of her were of getting up at 5am in the morning to bake cakes, of her primping her long silver tresses, of her complaining how fat she’d gotten and happily taking me outside to pick another couple of baskets of raspberries or sharing her favorite treats: Ruth’s Cashew Supremes, Classic Bugles or my very first Pringles. Me with my "Precious Auntie"
In the end, what Amy Tan did in writing (what I believe was a deeply personal and cathartic book for her) The Bonesetter’s Daughter was give me new leave to return to my own “Precious Auntie” again and accept her presence, even if it’s simply my desire for her presence, in my life. I think Ms. Tan would like to know that sort of legacy came from her writing.